Riding on a Möbius strip | I have a never ending thirst of exploring this world. The moment I get a chance, I start my journey…..have seen a lot, and there are lots to see. My array of good and bad experiences have helped me to grow, to mature, to form informed opinion for the world around me. Opinions are absolutely personal and you are free to contradict, criticize, support or just browse through. Welcome – explore my world! This is about a tiny, small, most visited corner of “arguably” the most beautiful country of the world. 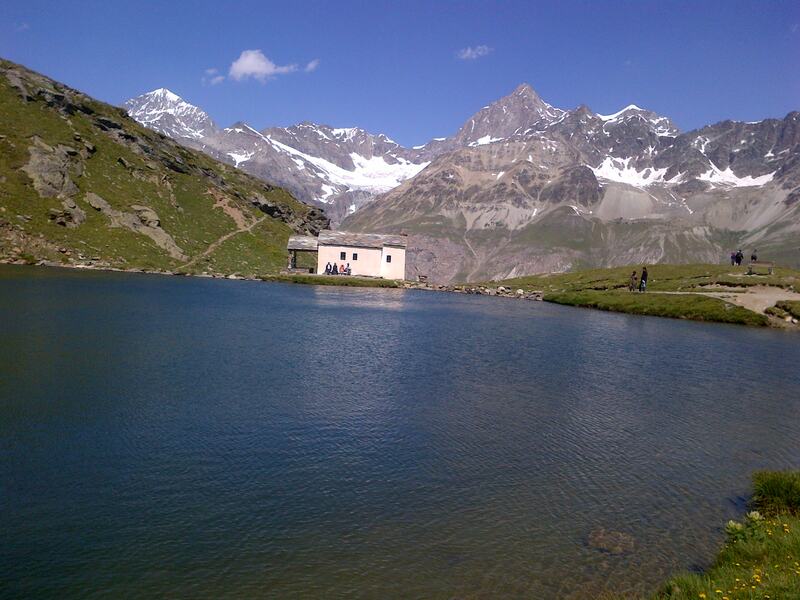 I am almost sure that if you have visited Switzerland, you might have had a chance to get a glimpse of it. If you have avoided it because of the exorbitantly high prices of the transport coupled with the intimidating looong journey from any other place in Switzerland, you can’t be called illogical. But you have surely missed something in your life – this is one of those places that you must see before you die. But this is not just about the beauty of the place, there is much more to it. Since this is about my personal experience with Zermatt, the white snow clad peaks appeared slightly more colorful to me. I am sure you added your own colors to it when you were there and they may be different than that of mine. First visit was in 2009 summer. The first reaction was “is this real”? A town can be this beautiful? One road that starts at the train station and stretches up towards the mountain, decorated with hundreds of colorful shops on both side of it, the hotels and houses flooded with flowers glittering in the bright sunlight blew me away at the very first sight. I was cribbing a bit on the way about the money I spent on the train ticket, but my mouth was shut when I reached. A few more minutes of walk and then I saw a mountain peak about which I only read so far in the books – Matter horn. So, that is Matter Horn ! 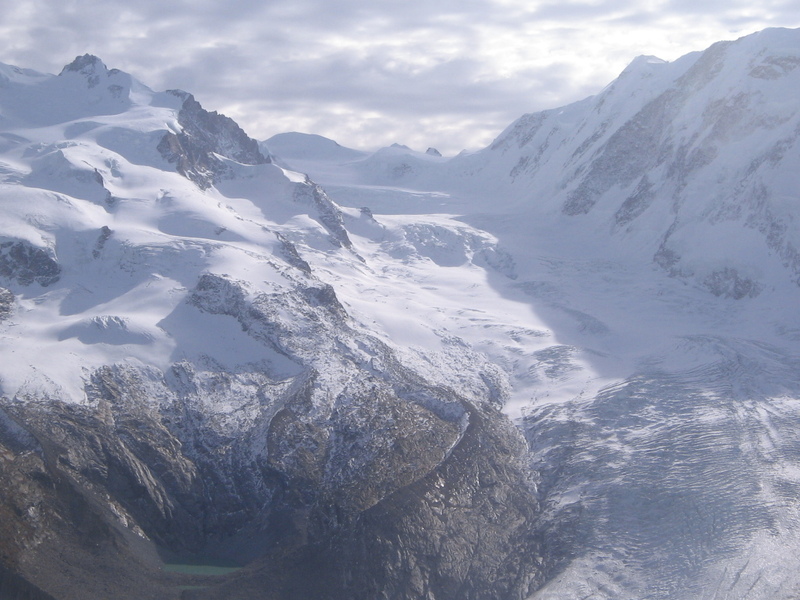 That is the peak which thousands of people tried to climb over centuries and lost their lives; that is the mountain which is so steep that does not let ice to be stuck on its wall. That trip was superb. 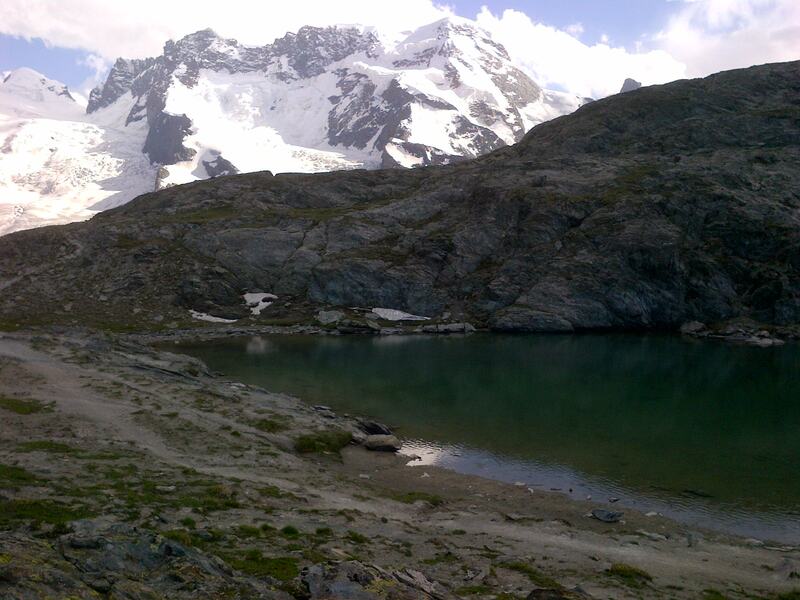 I took the cable car to the glacier paradise that extends to the Italian Alps. 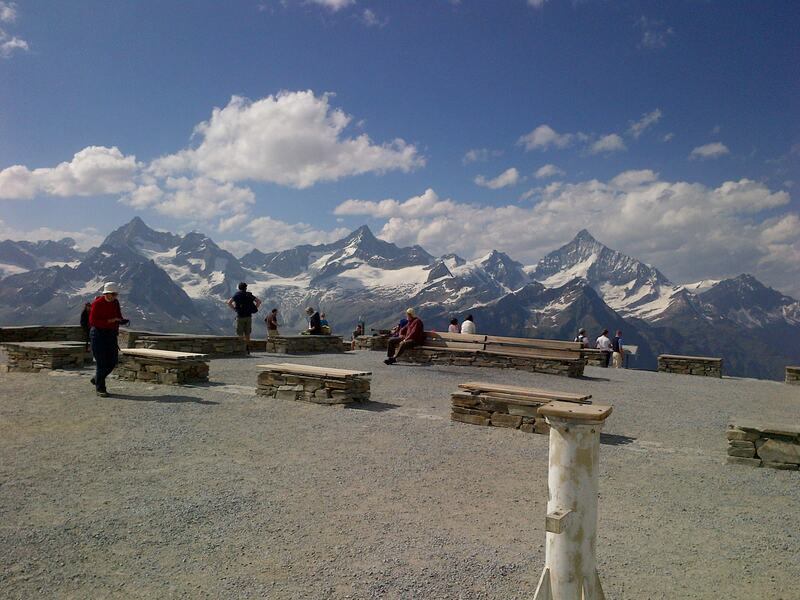 I stopped at Trockener Steg where you can almost literally touch the feet of matter horn or kiss it. 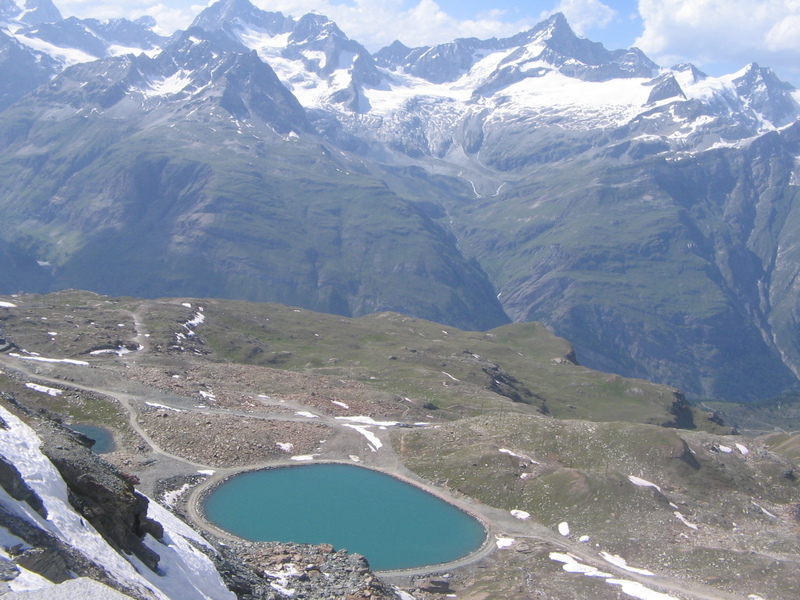 I took the mountain railway to Gornergrat and did not believe that there can be a place which is flat, surrounded by snow clad mountains from all sides and where your wildest imaginations of beauty can be challenged. I was happy but I was slightly sad at the same time. What is beauty of a place if you can’t share with your loved ones? Then it was 2013 winter. Shorter day, almost same itinerary but with my mother this time. 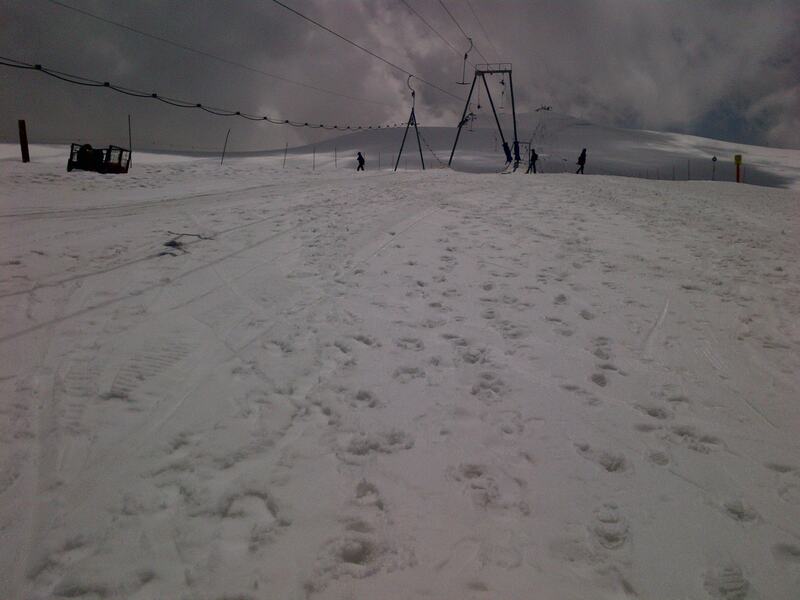 No climbing up the valleys, no trekking but this time it was all snow. 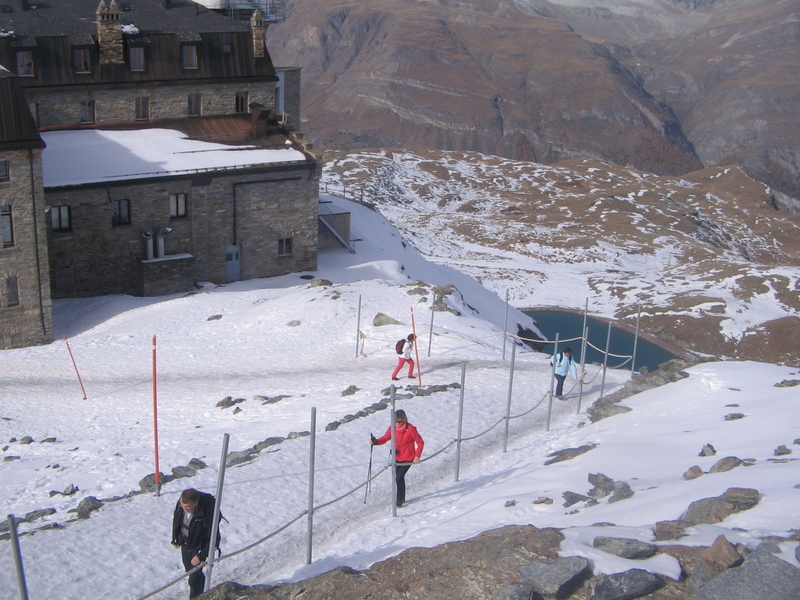 Snow at the train station, snow at Gornergrat, snow everywhere! That was the first time I took my mother to Switzerand and I swear it was a different feeling altogether. I was prompted to put a big tick in bucket list that very evening after coming back to Zurich. And then, the final one in 2014 August end. Summer was going but this time I had my entire family with me. Same itinerary, same place but so fulfilling, so very mine. 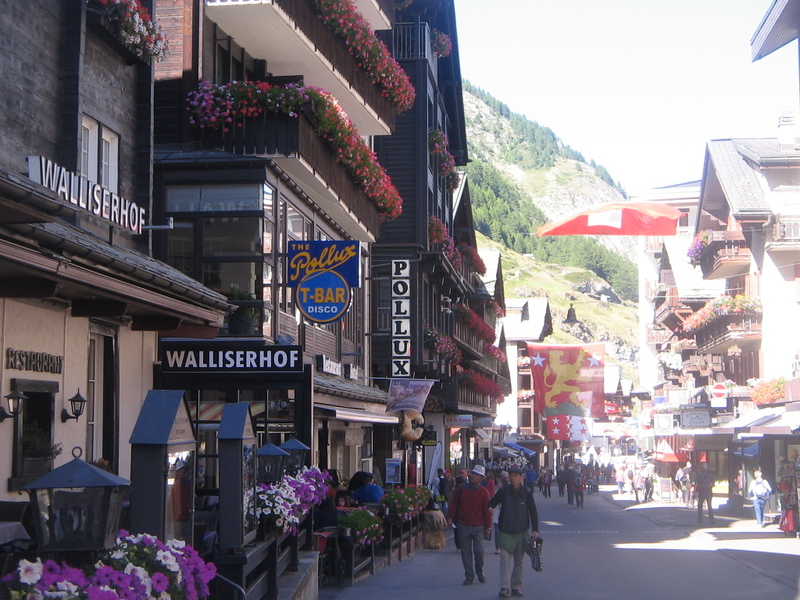 Zermatt that time did not appear to be a foreign land any more. 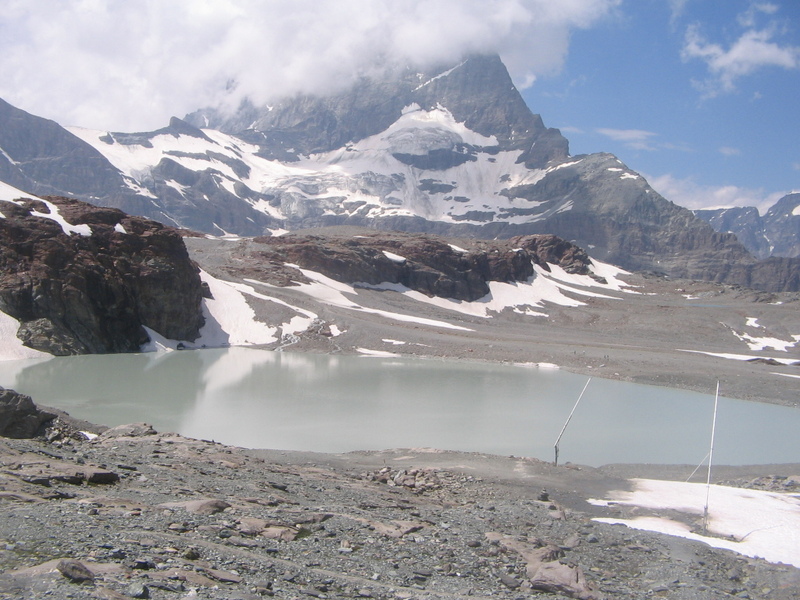 This time also I went up to Gornergrat, but every station appeared to be filled with memories, so known, every point had a topic to be discussed about. We had our packet lunch at 10000 feet and took photographs. That was my moment. 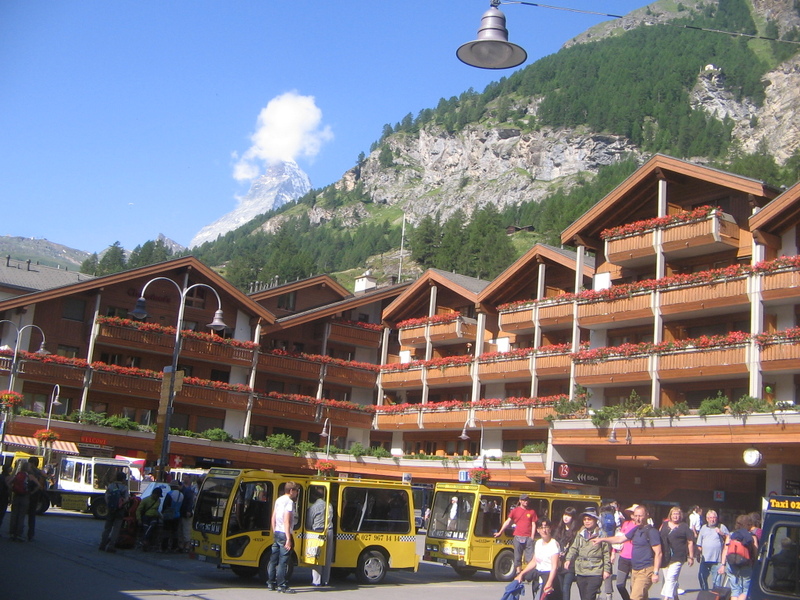 Today, I checked Zermatt website – they still call it Zermatt. 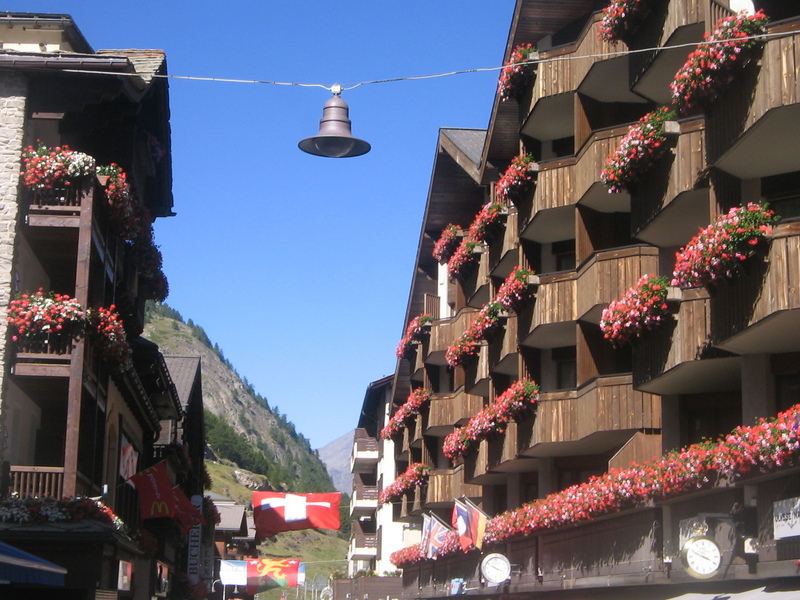 For me, it is not just Zermatt any more – it is like a second home where I left something of mine. Sometimes I wonder how it would feel to do a world tour. More I put tick against my bucket list items, more the list extends in length. Given the limited amount of time and money, I think there will be many places still unchecked while I die. I have not seen the Egyptian Pyramid, neither the Great Wall of China and while exploring France in 2014, this sense of non-fulfillment got magnified to a great limit. So many corners of this world are decorated with invaluable jewels and the life is too short to experience all of them. 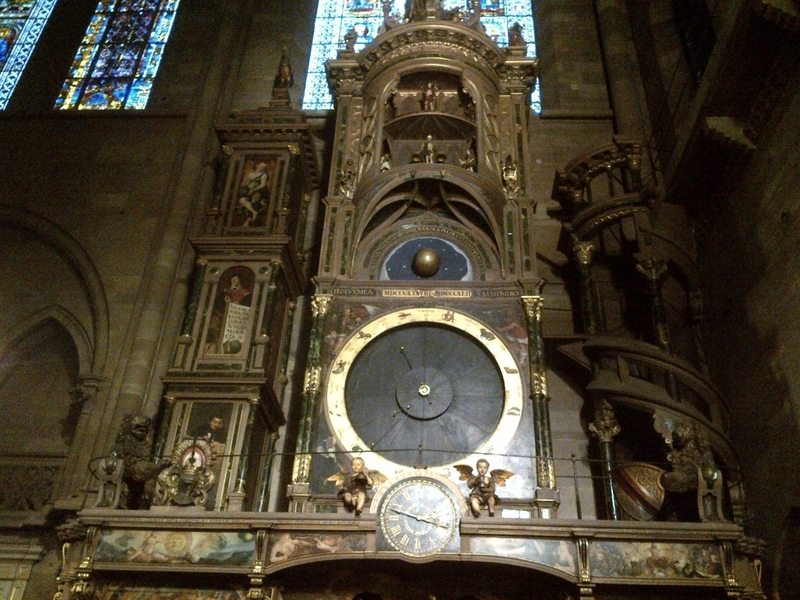 Take the Notre Dame cathedral for example. When you hear this name, first thing you remember is Paris, right? Well, there is another one with the same name that exists in this world and it is no less beautiful. 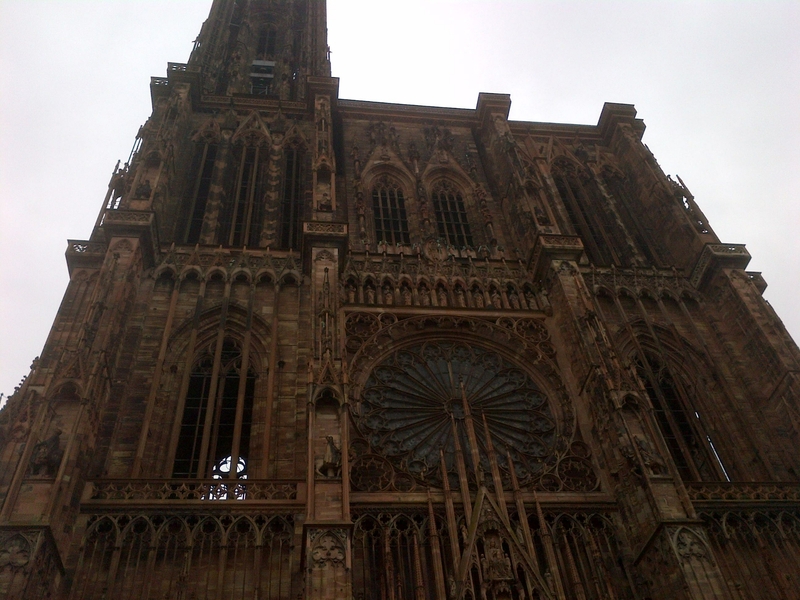 With the tallest tower of 142 meter height, this cathedral is undoubtedly the biggest architectural marvel in Strasbourg. The square in front of it looks like picked right from the middle age. Modern shops have popped up in some of the alleys, but they are less in number. With the cobbled lanes, old architectures and dim lit, ghostly passageways, Strasbourg will blow you away on the very first sight. 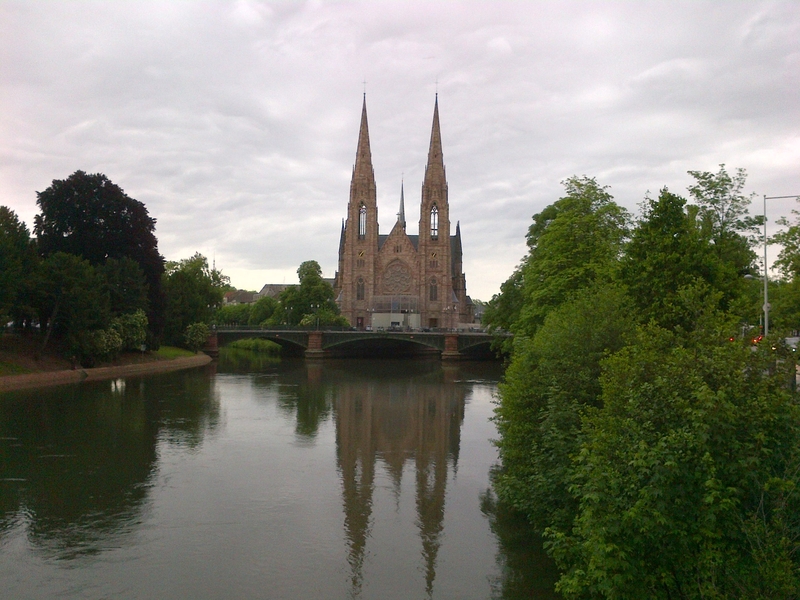 For people who are not familiar with this name, Strasbourg is one beautiful city near the border of France and Germany. This is not a hidden treasure though. Every year thousands of tourists flock to Strasbourg. Its old town has got a place in Unesco World Heritage Site. People are friendly, buildings are marvelous, things are not-so-expensive – a perfect tourist destination to spend few days in. 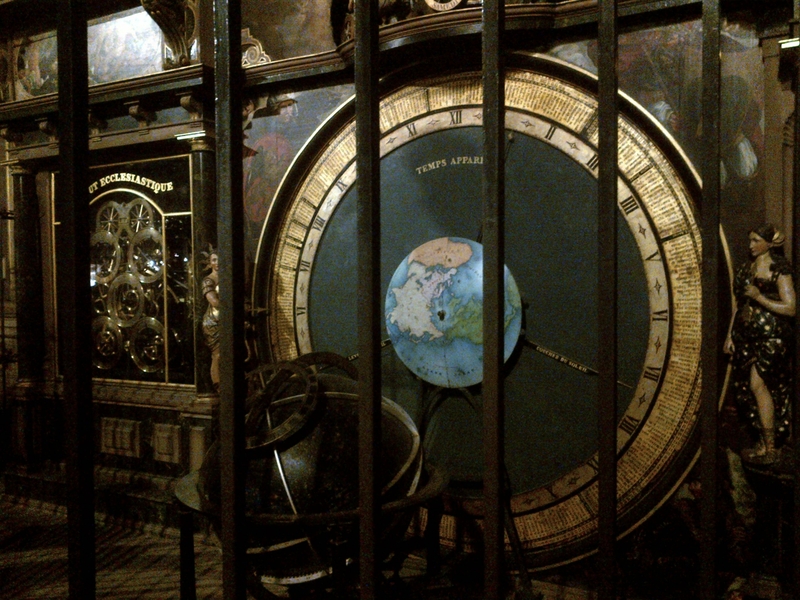 How will you react if I tell you that this place contains an astronomical clock which is 300 years old and still accurately shows time? Not only that, it is a complex system made of numerous cross section of very fine machineries that can show the position of sun and moon with almost zero defect accuracy. We have many fine and more updated systems today, but 300 years old and still that advanced? Very few in number. Then the Petit France area. History has never given any importance to this. 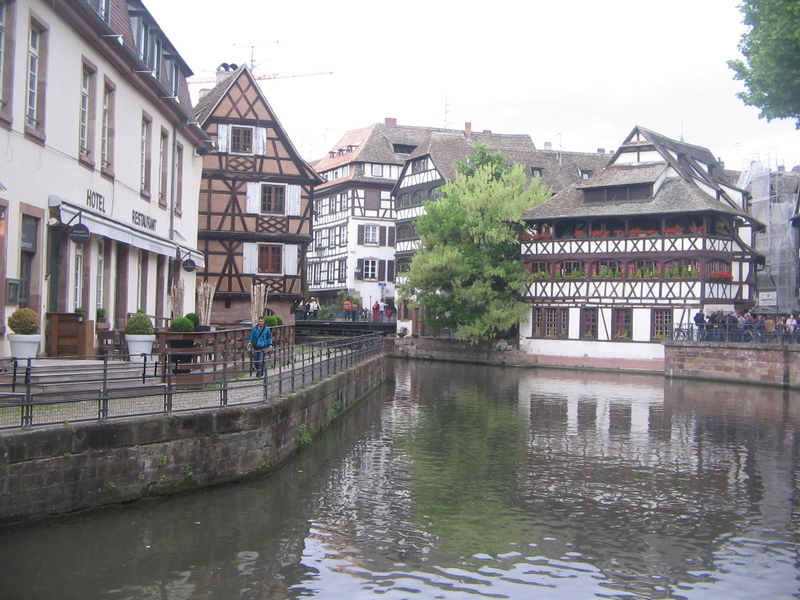 In old time, this was the small area within Strasbourg used as dwelling places of the fishermen. That time those people did not have enough money to build luxurious mansions, so they used logs and woods along with other materials to build their houses. If you look from a distance, the crisscross on the walls of the houses will appear to you like drawing marks or paints. But a closer look will tell you that they are big logs of woods. 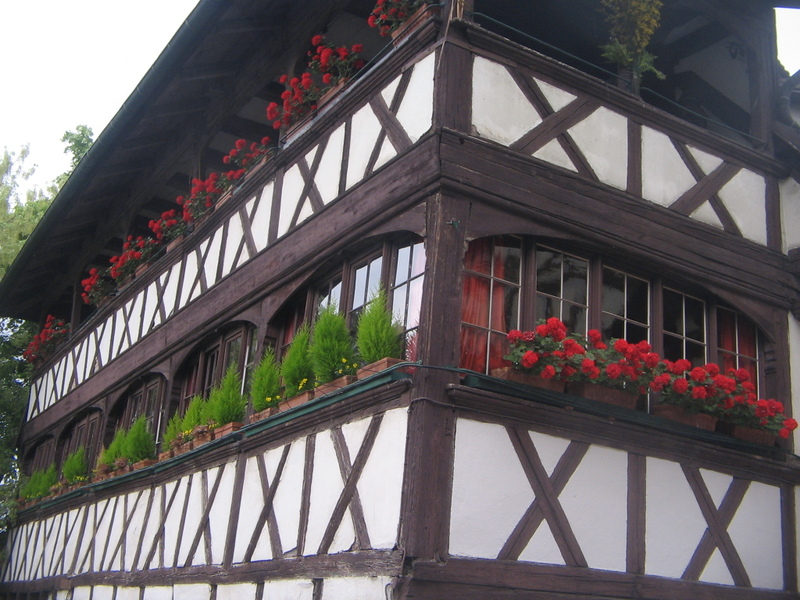 The array of these half timbered houses have made Petit France one of the most unique places in the world. 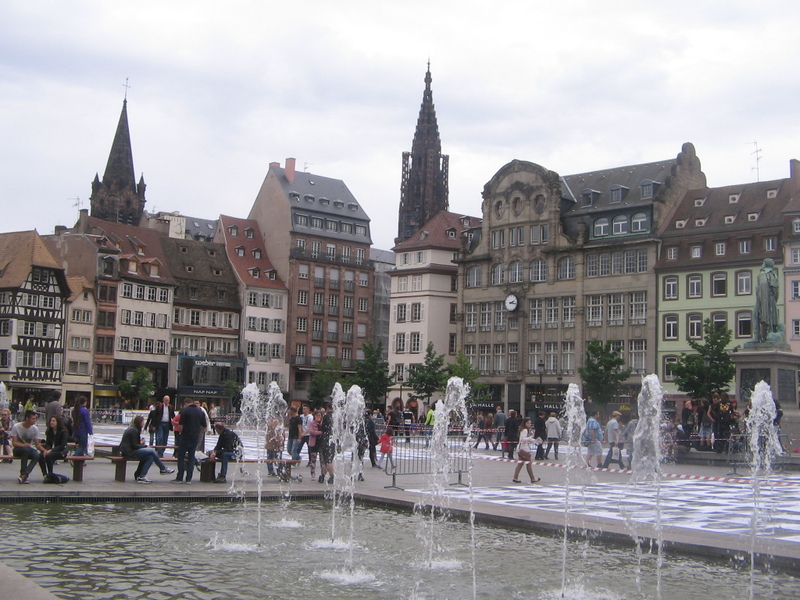 They are colorful, gorgeous looking and are now the center of attraction of Strasbourg. Hundreds of tourists buy miniature of these houses as souvenirs. Fishermen somehow eking out a life of these might have never imagined that this would be so popular after their death. I can talk about many other jewels that this box will offer you. 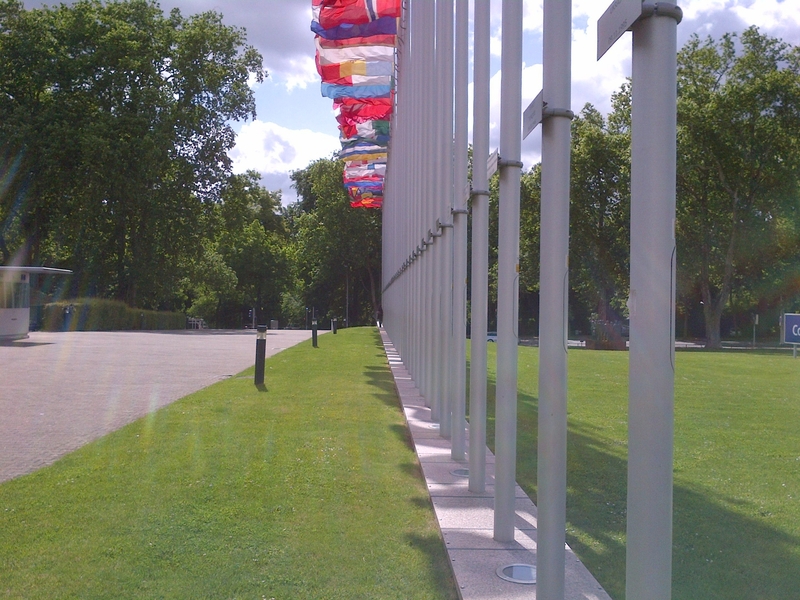 Take the European parliament building for example. Though this is ultra modern and does not have even close resemblance with the old town of Strasbourg, still this is a nice place to visit. Or the Orangerie park right next to it. It is a beautiful park used by the locals for their daily exercises. 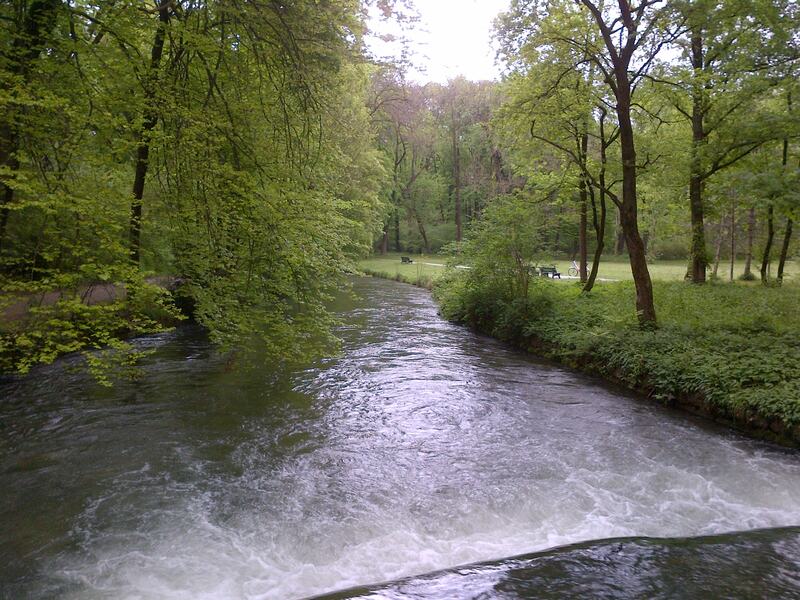 If you have visited English Garden in Munich, you will find lot of similarities with it. Orangerie is nothing in terms of size compared to the massive English Garden, but enough to take your stress off after a long week of work. In the evening time, if you have nothing to do, go to Kleber. This beautiful square near the old town is a perfect place to relax, chat and see the sun setting. Heavy rain, blurred vision and my bus approaching a dead end. The wipers were working and through the scarce moments of clarity, I could make out that the bus was going down the way to the water of the lake. Though accidents are not that common in Europe and this was not the first time I was traveling anywhere in EU, still dubious mind does not always believe logic, right? Few months back one high speed train accident happened in Spain and I am sure people traveling by that train would have trusted the safety no differently. Still, accident happened and they do happen. So, while I saw my bus approaching the lake at that high speed, for one moment, I thought something wrong was going to happen. And it was nothing like that. The bus was indeed approaching the lake and we went into the lake but not in the water, but in a ship! My bus went inside a ship – at a pace slightly slow, but it very soon landed firm in a ship. I peeped through the glasses of the windows and I saw many other cars on both side of my bus. It was a small size ship with the middle portion open to accommodate vehicles for crossing the lake to Meersburg. For people who are still trying to think where and how it happened – I was in a bus from Zurich to Berlin. Most of my colleagues love to travel by train or flight. They save time and probably they are indeed slightly more comfortable. But they miss that experience of gliding through the roads, valleys, towns. 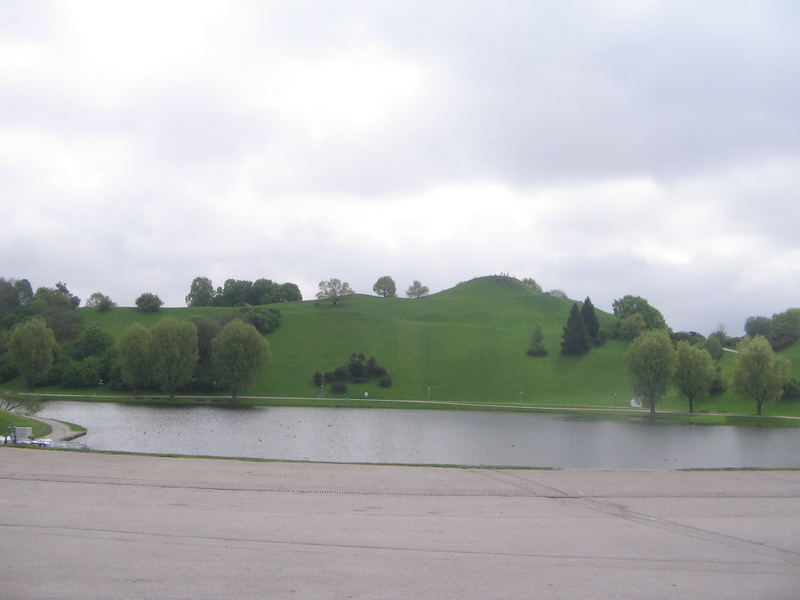 This time when I was making a plan to travel to Berlin and Munich from Zurich, I made my mind to travel by bus. The bus ride from Zurich to Berlin is a long one (almost 12.5 hours) and major part of the way was covered in the dark. But the two hours that you get before the Sun sets, you see some beautiful roads. From Zurich to Konstanz is covered by road and then the ship takes the bus from Konstanz to Meersburg. 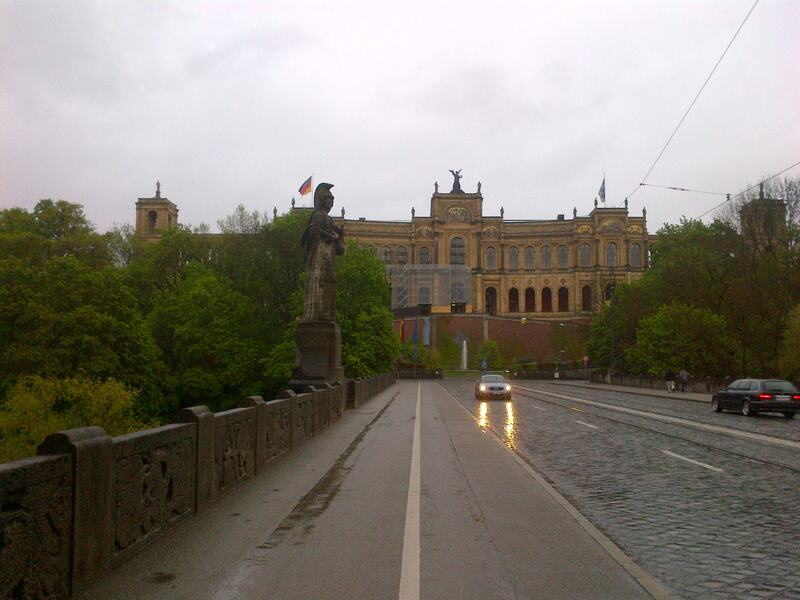 Then the journey continues through small towns of Germany before it reaches Munich at midnight. 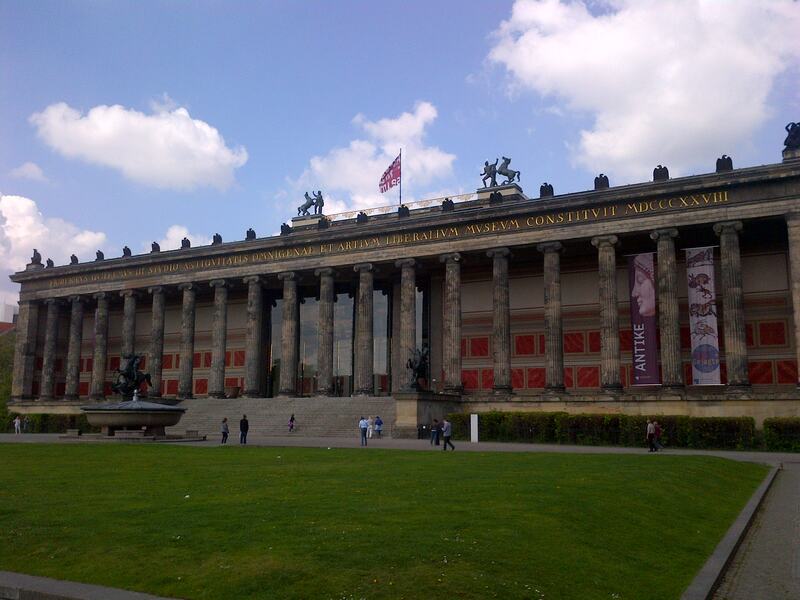 Berlin is a lovely city, so is Munich. 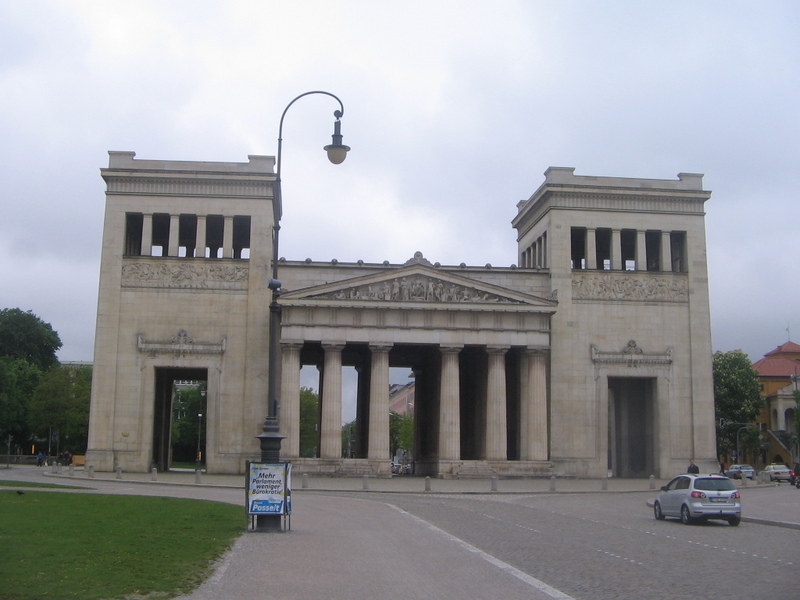 But if you ask me, what I loved most in this trip, my first choice will be the bus ride from Berlin to Munich. 7 hours bus glide (I don’t call it ride!) started at 7.30 am and crossed some most beautiful roads I have ever seen. The highways are smooth, the bus runs at a steady gliding pace and all you have to do is just sit back and watch the panorama. Make sure that you sit at the front and in the upper floor of the bus. Otherwise, side view is somewhat similar to the train view. I saw majority of the people in the bus in deep sleep. I don’t know why. Because I was finding it hard to keep my eyes off the beautiful valleys. There are places in the way where you can see the stretch for few miles ahead – like a large snake creeping its way through the hilly terrains. And hundreds of cars running on it at unimaginable speed. 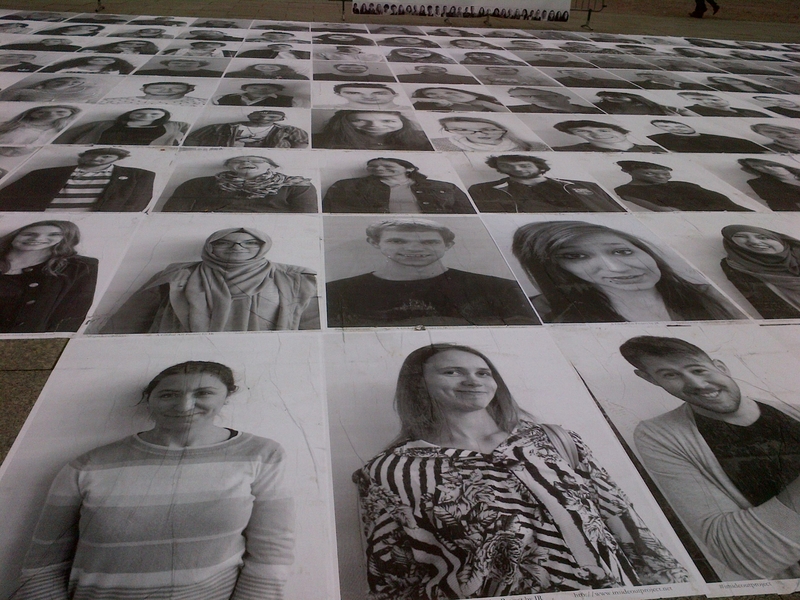 It is such an experience! You sit on a roller coaster or a ride in Universal Studios and take the front seat just to experience it to the fullest. I suggest you try this bus ride. It is not thrilling like a roller coaster; but it is like watching a movie for 7 hours. Consume as much as you can. Price is too less to justify that view. For people who want to know how to – I took Meinfernbus. The seats are comfortable; they always start in time. It reached the destination 30 minutes later than schedule – but for me, it was a good movie running for 30 more minutes! You search in Wiki about Balzers. You get a name of a company, you get some facts and figures about a small town in Liechtenstein. But what you don’t get and can rarely imagine how serene a tiny town can be, how beautiful are its meadows and how uncanny it can be sometimes. 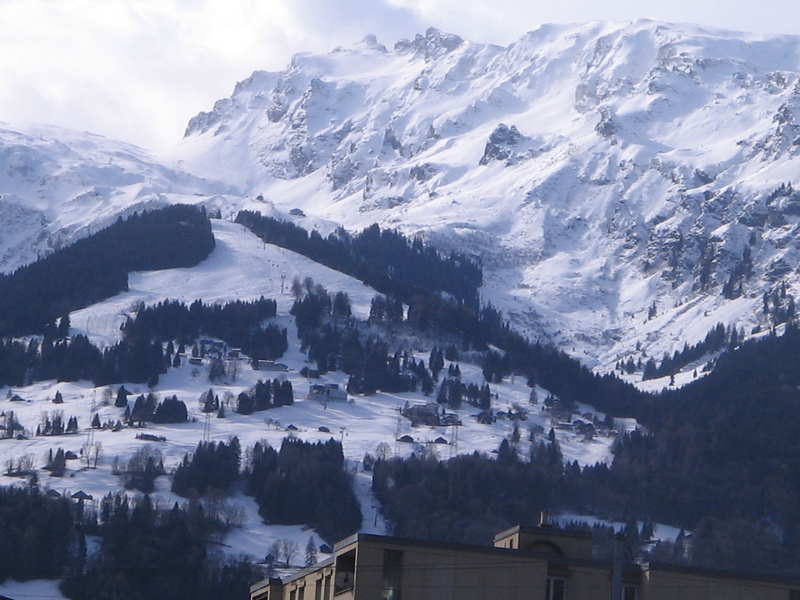 When I reached Balzers in a weekend in February 2014, I didn’t have much expectations either. I heard there was a church and a castle at the hill top. So, naturally I didn’t allocate much time for the trip. 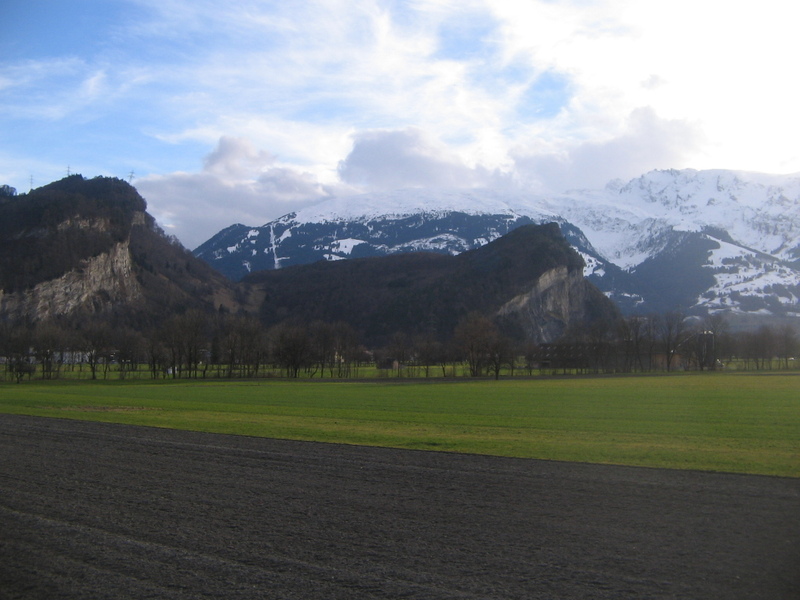 When the bus towards Sargans dropped me in Balzers and it left soon thereafter, all I noticed was meadows and fields spanning to the horizon and snow clad mountains leaning over. There was a highway and some cars were speeding out, but it looked bit strange for me to land in a place so empty. There was no one, literally no one. It took me a while to figure out the way to the church. The way is not difficult to find but takes some good walk to reach the church area. From the main street, a long pavement stretches towards the church. Though it was a holy place and like any other holy place, it should give a feel of a positive energy, still the first look was not that comfortable. On one side of the church, there is a jungle and a steep way through that going up to the castle. 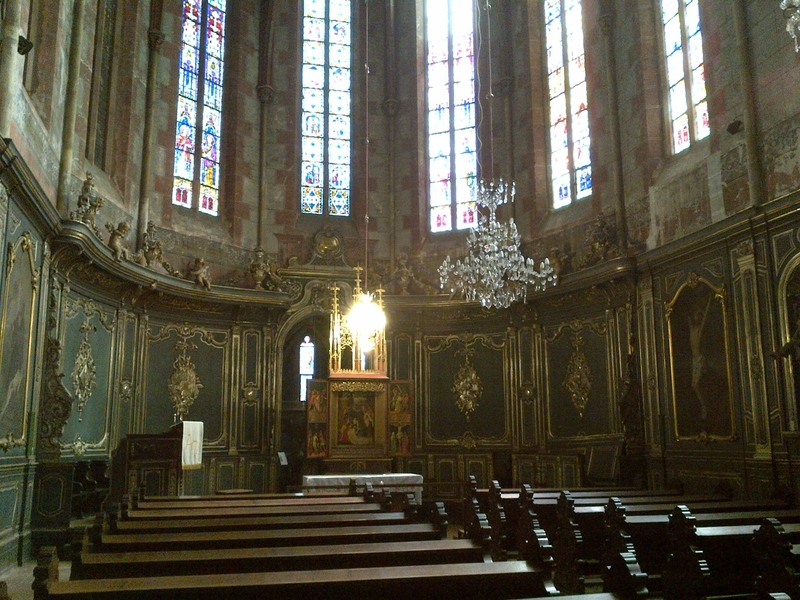 The church is small but beautiful. The outer surface is decorated with gild items. The setting sunlight made it appear like gold. But one thing was missing everywhere – human beings. I almost reached the church when the wind started. Calling it strong will be an understatement. It was so strong that my footsteps were not at the correct place where I intended them to be. Sound of that wind blowing through the jungle created that so-many-times-heard music in horror movies. I am in Europe for long and I am aware of the devastating wind and its sound, but trust me, this surpassed them all. In my life, I never experienced a wind so strong. That sound and no human beings anywhere and the setting sun and the jungle route was a perfect backdrop for Dracula movies. More so when I was heading towards an old castle. The path is steep and takes about 10 minutes to climb up to the castle. The wind was even stronger at the top. All doors were closed and I tried to open one of them, but then all of them were closed from inside. So, does it mean that someone stays in that old castle? I found that very strange and I didn’t see any light anywhere, so couldn’t conclude anything definite. My way back was another challenge. When I reached the bus stop, I realized that the buses were running only once an hour and one just left 2 mins back. How I spent next 1 hour is a story by itself. The wind didn’t subside even for a single moment and the bus stop was just a board with no place to hide yourself. 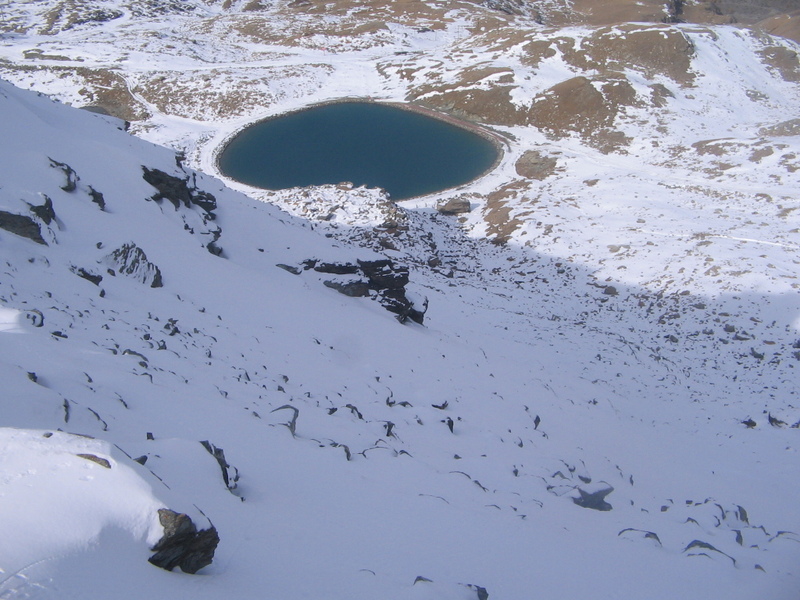 In that one hour, I did many things – I made some plans, some resolutions, some ideas – all just to forget the wind. 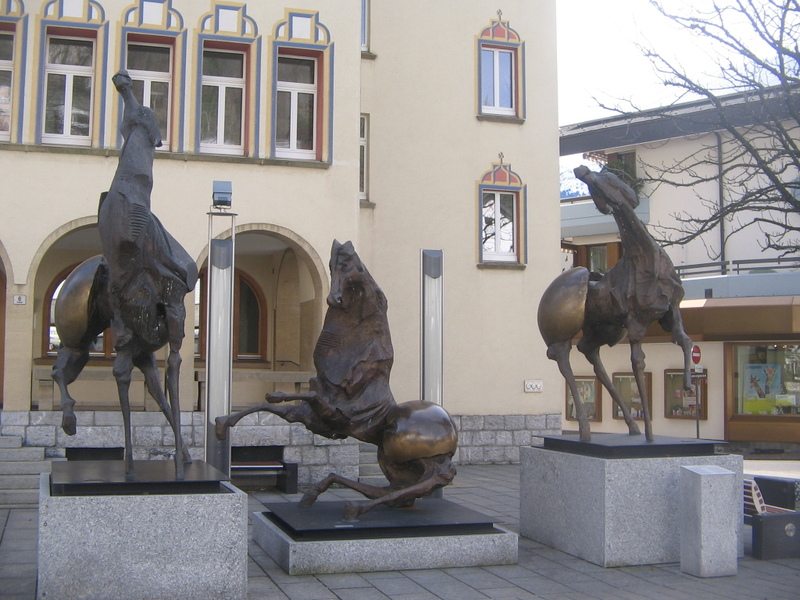 Balzers is equally decorated with Alps as Vaduz is. Its just that Balzers is more rustic in appearance, misses the usual European squares or shops and is more serene and beautiful. For people who are interested in seeing Balzers, here are some tips. 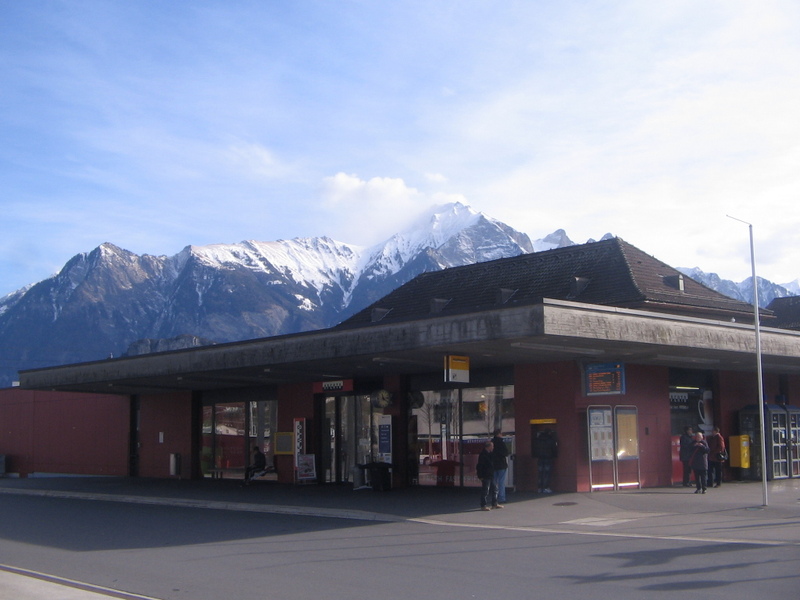 If you are travelling from Switzerland, the best way is to reach Sargans by train. 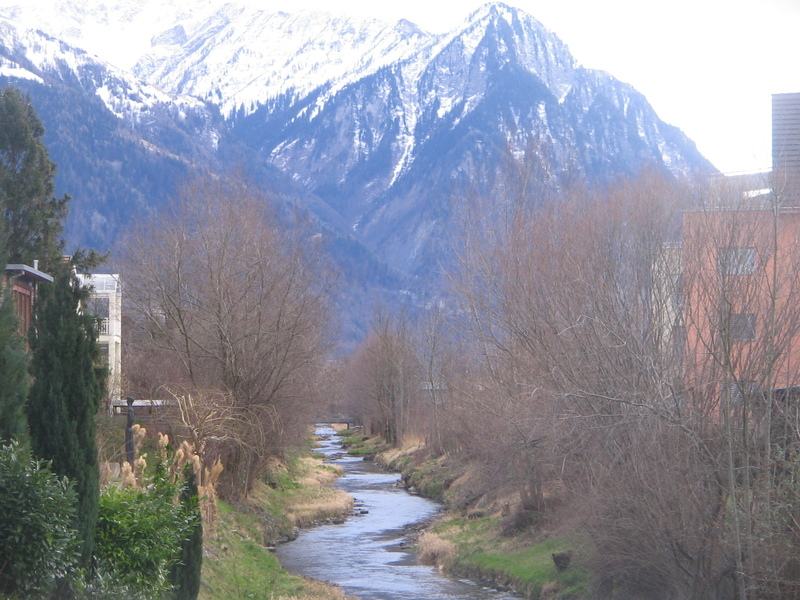 From Sargans, on weekends, there is an hourly bus for Vaduz which takes you through Balzers. In weekdays, there are 2-3 per hour. Be careful about the timing as you may end up in a similar situation as mine otherwise. The way to the castle is steep and will take few minutes to go up. If you plan it well and want to spend longer time, get some food and arrangements for a small BBQ. The meadows are beautiful and the snow clad Alps make it a perfect place to spend some time and relax. Just avoid the winter time. 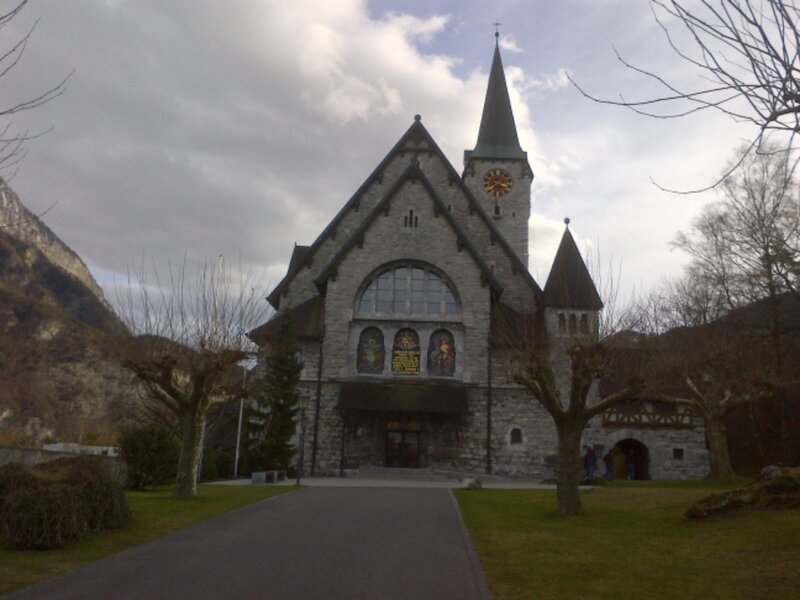 Vaduz and Balzers are best clubbed in an one day trip. That way you can optimize your time and expenses. Europe has become more popular than ever for Indian tourists. 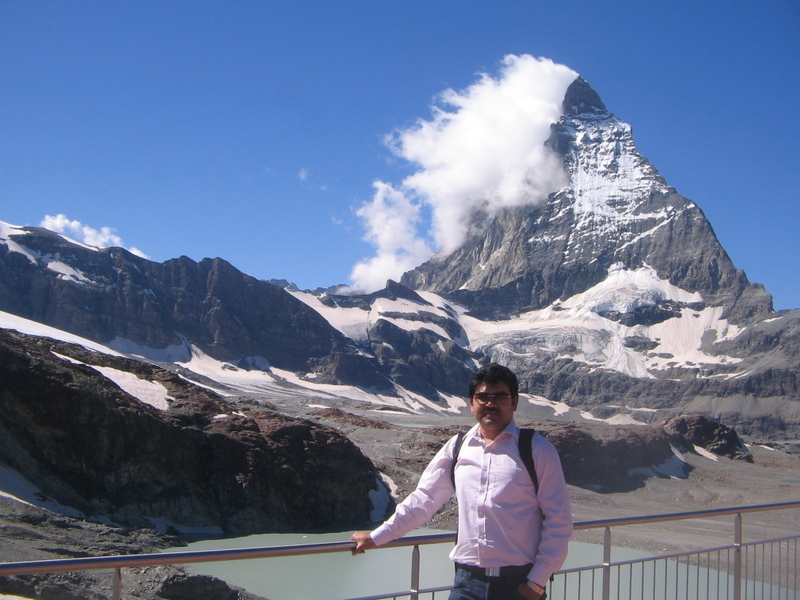 Switzerland has attracted five hundred thousand Indian tourists in 2013. I am sure the number will be similar for some other popular destinations as well. But rarely my countrymen come to explore one of the smallest countries of the world landlocked between Austria and Switzerland. 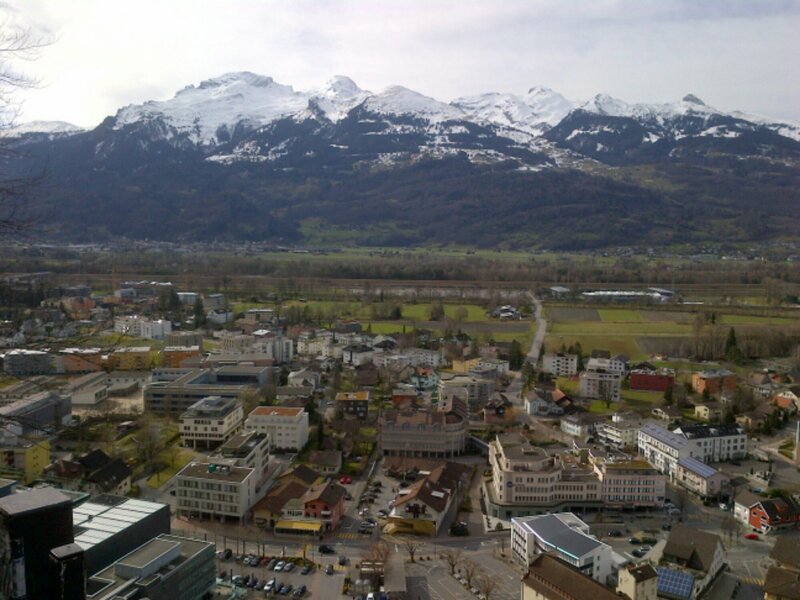 When I talked to my friends about Liechtenstein, some of them asked where it is, some thought it might be another city near Zurich and some of them who knew that it is a country raised eyebrow – is it a great place to see? I didn’t answer them that time. But now after spending 1 day in the alpine country, I can brag that I have visited one of the most scenic countries of the world. The country is small – but let me give you some analogies to beat your imagination. You can cross the entire country in a bus in 45 mins. Sounds ok? 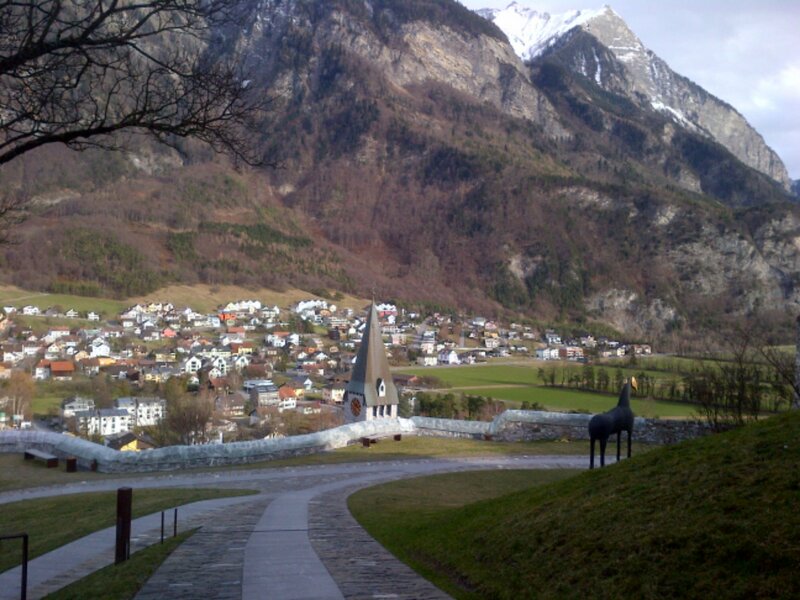 Here is another one – you can cross the capital city Vaduz just by walk in 30 mins. 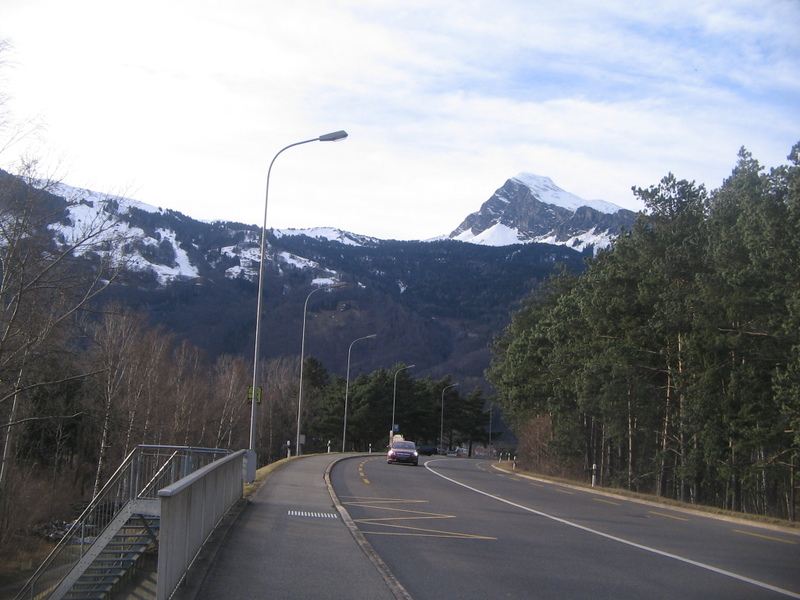 When the green – yellow bus dropped me at Vaduz post, I was excited that I landed in a different country. Then I looked around and there was no one as far as I could see. It was a bright Saturday winter morning in Europe with 15 degree plus. In this weather, Zurich or Geneva or Rome floods with people on the street just to get a glimpse of the scarce sun. And here, in that much of Sun, there was no one to enjoy it! 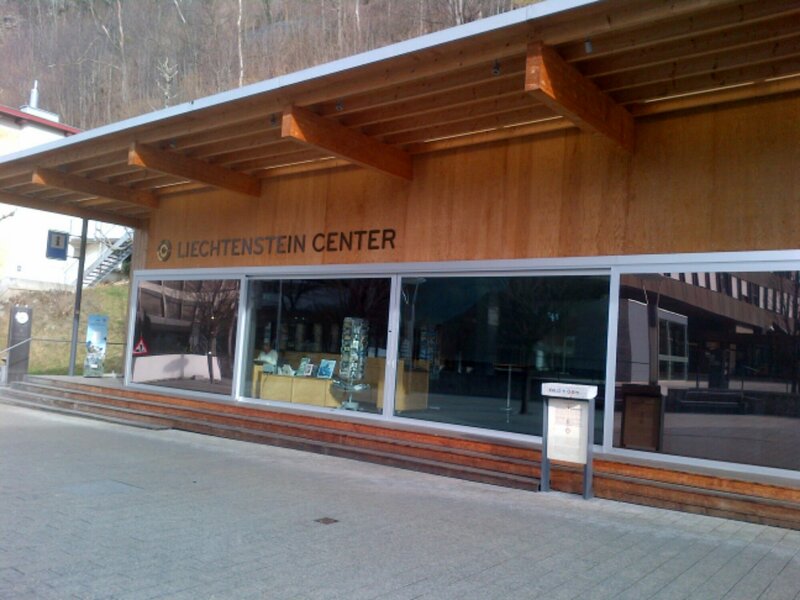 Welcome to Liechtenstein !! Have you ever seen Bollywood heroes driving hoodless expensive cars through the fields running to the horizon and snow clad mountains leaning over their shoulders? Vaduz has exactly that! Though not many movies might have been shot here and Switzerland is usually preferred compared to this small cozy heaven, but this is no way less beautiful. In fact, you can enjoy the beauty of the Alps as much as you can without any hurry to catch a vehicle to go back to your place. There is a small church near the center of the town and just opposite to that, the long way through the field stretches to the Rhine river. Snow clad mountains are very well visible from here. The only place in Vaduz which gives you a better view of the Alps is the view point just near Vaduz castle – a 25 min hike from the center. The road is steep – the first part is through the town and last few minutes through the jungle. 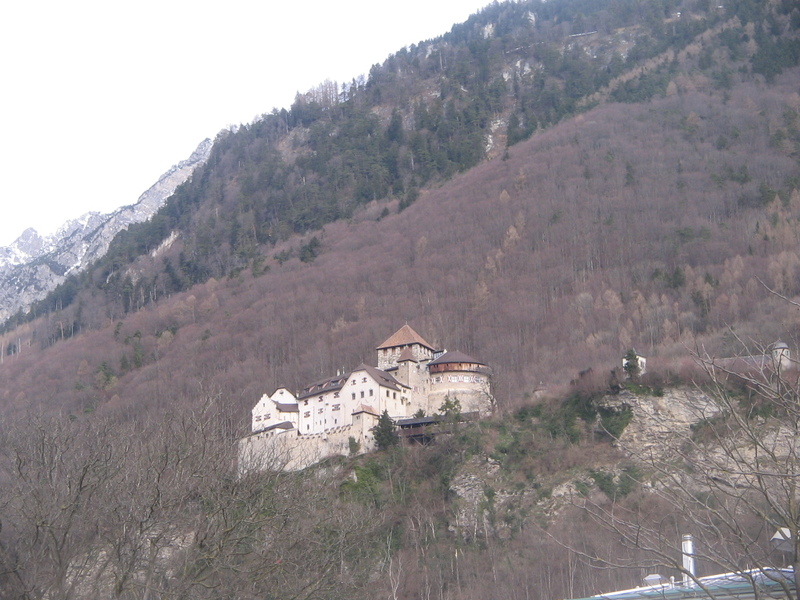 Just before you take the last turn for the castle, there is a view point providing amazing view of the Alps. 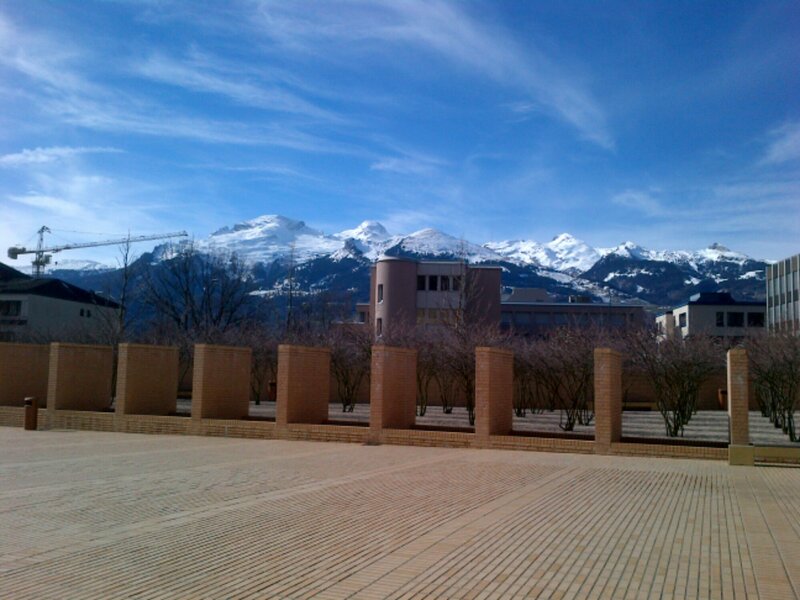 Almost entire Vaduz is visible from here. Vaduz post museum is another one worth seeing where all postal stamps issued in last 100 years have been maintained with great care. Small and free of cost but has amazing collection. There is a wall of fame for your comments. I wrote “incredible” translated in Bengali. 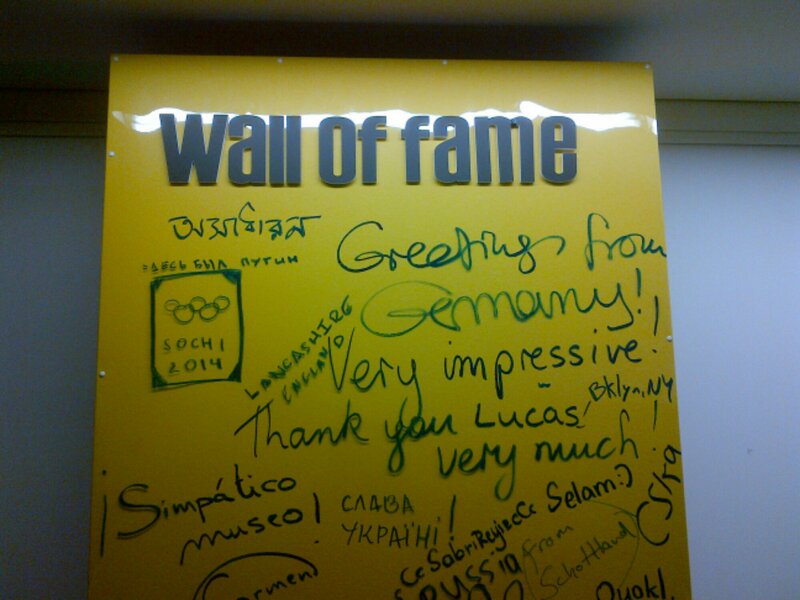 I felt so proud – who knows, may be I am the first and last Bengali to leave a mark on the wall of fame. Personally, this was not just one tick in my bucket list of countries I wanted to visit before I die. It was a whole lot of experience for me. Be it the infrequent yellow – green bus or the small, cozy, sleeping fantasy world waiting to be awakened by the magic touch of some prince or the pricey souvenirs or the priceless Alps – I liked each and every moment I spent there. Life is too short for the same great places to be repeated twice, but if I can, I will come back.